In retail or exhibition environments, you want to show off all of your items in the best light possible. One of the best ways of doing that is with a display case. Traditional glass cases are heavy and expensive, but there is a more convenient alternative in the form of acrylic cases. As a material, acrylic has a number of advantages. It’s lightweight, tough, easy to clean and looks smart in almost any environment. Acrylic is much stronger than glass and it is impact-resistant, making it safer to use. That’s why it can be found in products such as skylights, shower screens, aquariums and display cases. For display use, acrylic also boasts the advantage of being a very clear substance that lets a high percentage of light through. Glass, on the other hand, has a greenish tint that is visible at the edges and becomes more pronounced the thicker it is, so it doesn’t always show off the true colour of items on display. Acrylic is also very durable. It won’t yellow and discolour over time as other plastics do, so items made from it will look good for many years. The other big advantage of acrylic is that it’s around half the weight of glass, so it’s a good choice for displays that need to be moved around regularly, such as those for travelling exhibitions or trade shows. It’s also an easier material to work with. Acrylic sheets can be cut using a saw, so it doesn’t require the specialist techniques and handling of glass. Acrylic can be shaped using heat, and pieces can be chemically welded together to create invisible seams. We’ve seen that acrylic is a versatile material, and many of the qualities that it has make it an ideal substance for use in creating displays. Because it’s a clear material, it won’t distract from the items on display, and its toughness and light weight mean that it will have a long life and can be easily moved around if required. It will also look new for many years and is resistant to knocks and scratches. This means it will deliver a good return on your investment as cases won’t need to be replaced regularly due to wear and tear. When you’re looking for an acrylic display case, you’ll discover a wide variety of different types available, which means you should be able to find something to suit your application. Acrylic cubes, for example, can be obtained in five-sided designs that are open on one side only. These are easy to stack to create displays for multiple items, and they come in different sizes so they’re great for retail use. Wall-mounted versions are available for creating more permanent displays. For items that need to be completely enclosed, such as museum displays or high-value items, acrylic cases are available with a solid base. These allow the top to be lifted off to change the contents and can still be stacked to create larger displays. Bases can be black, white or mirrored in order to best show off the contents. The acrylic display case is often used to show off items at exhibitions and trade shows, so portability is a key factor. The light weight of acrylic is a key advantage here, but to make them even more portable, display cases are available in flat-packed form. These are easy to assemble using just a screwdriver, and they can be taken apart again for shipping to the next venue or to take up less room in storage when they’re not being used. Flat-packed cases can be found with or without a base, and the bases come in a choice of colours. Whether they’re for permanent displays in retail use, galleries or museums, or they’re being used to create temporary displays at trade shows and exhibitions, acrylic display cases offer an attractive and versatile solution. They’re tough, easily portable and can be used individually or stacked to create larger displays. They also look professional and will show off all of your items to their best advantage. 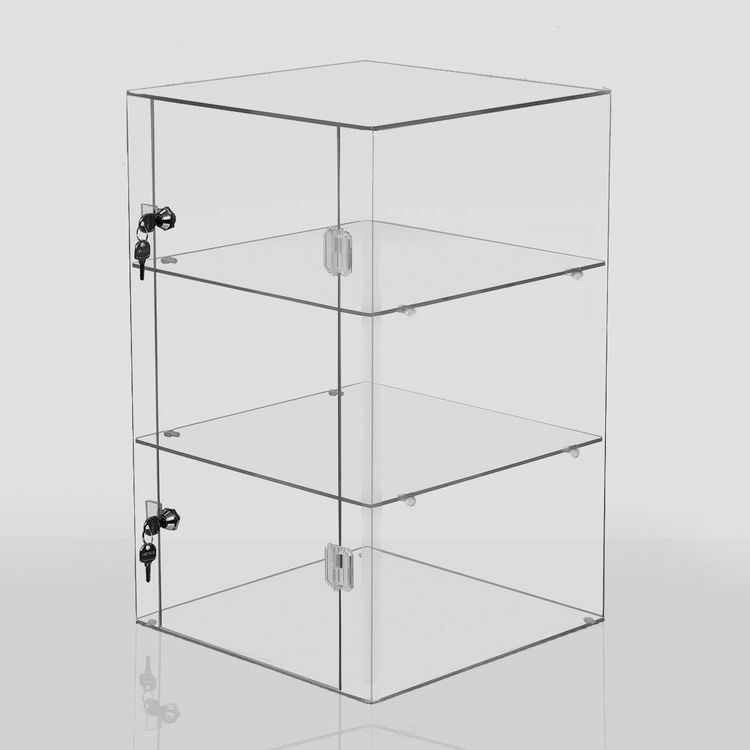 In addition, because it will last a long time, an acrylic display case will deliver a good return on your investment. Phoenix Rising: Is Our Housing Market Heating Up?